How to maintain the electrical equipment parts of concrete batching plant? The daily maintenance objects includes contactor, electric circuit, relay and protector. 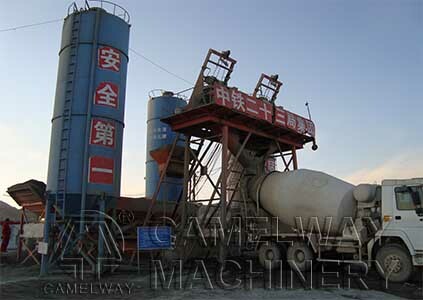 Zhengzhou CamelWay Machinery will tell you. 1. The dust and oil contamination are easily getting into the motor, which will cause the loss of electrical insulation resistance, poor contact, the deterioration of the heat emission condition of electric control cabinet and electrical circuit. It even causes the ground connection and short circuit. So we should clean the dust and oil contamination which are in the electrical cabinet frequently. Check whether the contactor is damaged, whether the amphenol connectors of all the electric appliances are loose and whether the connection falls off. Check whether there is the phenomenon of oil seepage and insulation breakage. In order to guarantee the normal running of protector of electrical equipment, the setting of automatic air switch is not allowed to be changed randomly. The thermal relay should be chosen according to the requirements. Through frequent maintenance of the electrical equipment, we can reduce the failure and find the hidden trouble timely so that the further enlargement of the failure can be prevented.If you have any question, you can contact us at any time.